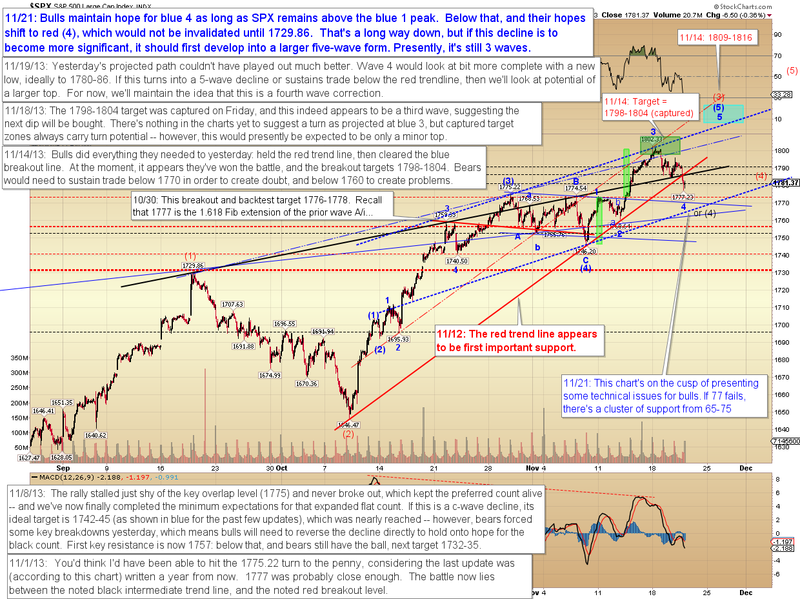 Last update was on Tuesday -- and during that session, the market hit the short-term downside target, then rallied immediately. 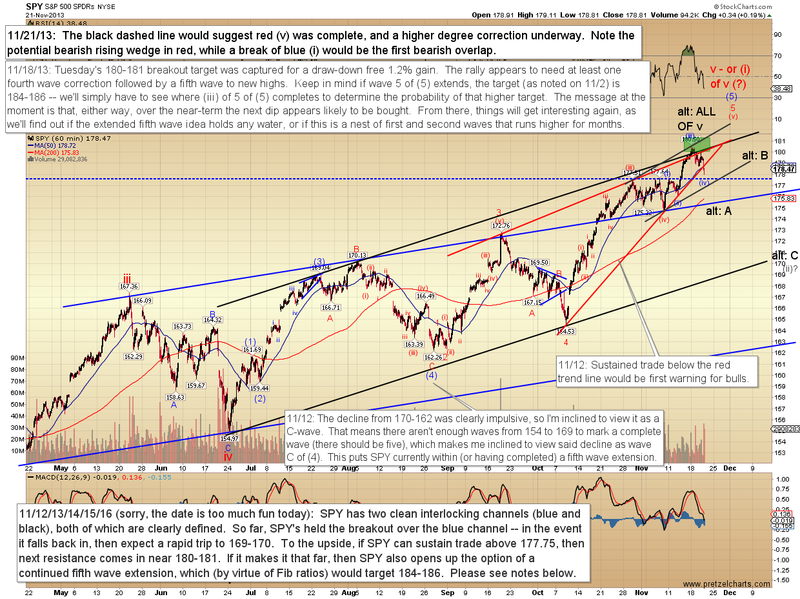 From there, it went on to develop into a five wave structure, which I'd noted would serve as a near-term warning to bulls. We're now at an inflection point, since the decline has come very close to the first key overlap level. The first chart we'll look at is the S&P 500 (SPX) near-term chart, then we'll look at the key overlaps on the longer time frames. On the 30-minute chart, The dual failures at the black and red trend lines are of some early-warning concern to the bull case. Bulls need to arrest the decline here, or risk invalidation at blue 1 -- which would then at least open up the potential for a larger correction. Finally, the SPDR S&P Trust ETF (SPY). 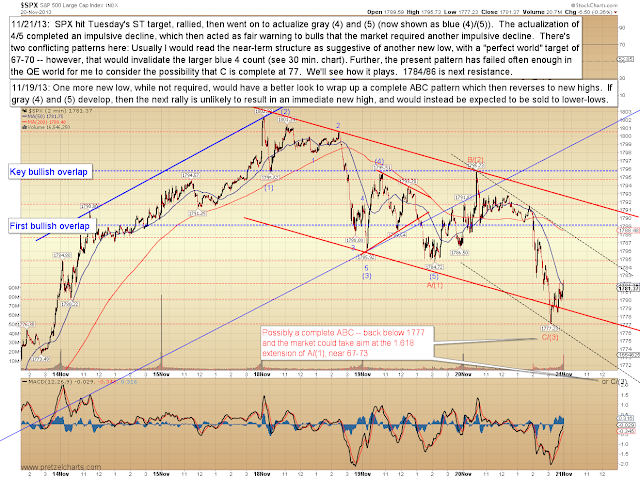 My preferred count here at the larger time frame is for an extended fifth. At the smaller time frame, the chart would look better with another leg up -- but if blue (i) is overlapped, we'll have to at least consider the possibility that all of v is complete. Ideally, we'll have additional warning signs, since the current leg should develop into a five-wave structure if v is already done; from there, it should bounce before forming another leg down. 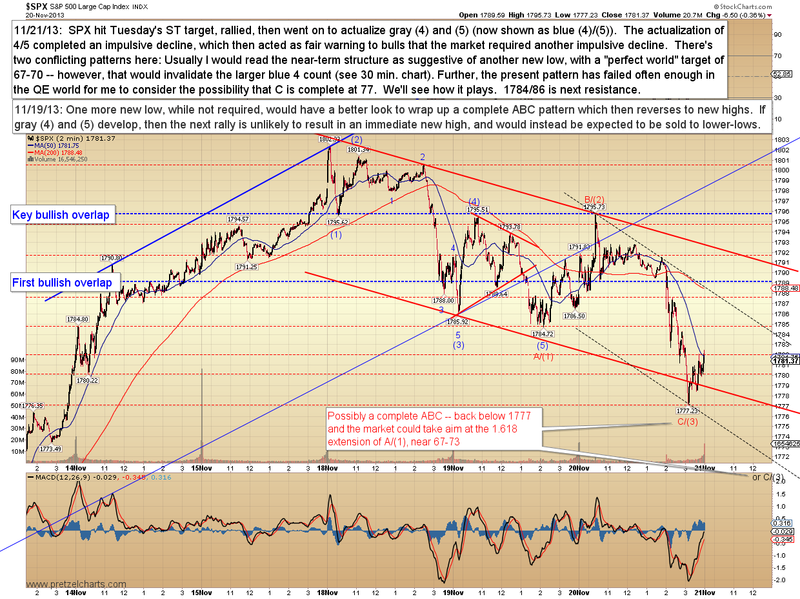 In conclusion, the decline has reached a minor inflection point, at the cusp of invalidating the near-term count. 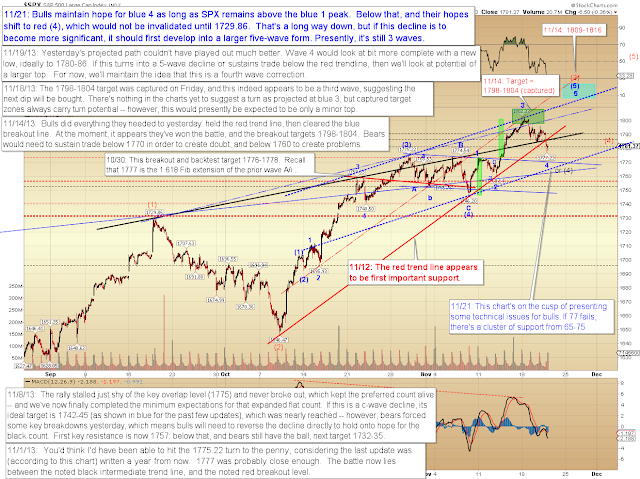 If this is the anticipated fourth wave decline, then it's likely the bottom is in (or very close). I probably have to give the edge to bulls here, due to the wave structure so far, but they can't afford to give up too much more real estate. Trade safe. Very high calibre T.A. Thankyou.